This bulletin is intended to up-date information regarding the upcoming Police Sergeant test. Information Bulletin #1 contained the original booklist. Information Bulletin #2, released 7/22/13, contained information about the official announcement. We anticipate opening this announcement to applications for a four week period beginning in mid-August. We are planning to administer the multiple-choice test in early October. We will continue to provide additional information as it becomes available. THE FOLLOWING UPDATES APPLY TO YOUR STUDY MATERIAL. UPDATED INFORMATION FOLLOWS THE WORD NOTE. NOTE: All NOPD members are responsible for all parts of the Manual and all General Orders issued but not yet incorporated into the manual (available at www.nopd.org). However, the goal of the test is to measure knowledge needed by NOPD Sergeants. Therefore, some sections of this Manual are not as likely to appear on the test (e.g., Fiscal Management, Grants). NOTE: Much of the information in this text is available on-line. Also, there is a link to the Revised Statutes and Code of Criminal Procedures on the NOPD intra-net site. However, the on-line information does NOT include the Louisiana Legal Guidelines (on pp. LG1-LG75 in the Lexis-Nexis text) which are necessary for Sergeants to know. 5. DNA in “Minor” Crimes Yields Major Benefits in Public Safety. In Short: Towards Criminal Justice Solutions. National Institute of Justice, November 2004. 6. Police Leadership Challenges in a Changing World. Batts, A.W., Smoot, S.M. & Scrivner, E. New Perspectives in Policing. National Institute of Justice, July 2012. 7. Toward a New Professionalism in Policing. New Perspectives in Policing. Stone, C. & Travis, J. National Institute of Justice, July 2012. 8. Data-Driven Policing: How Geographic Analysis Can Reduce Social Harm. Hardy, E. Geography & Public Safety. June 2010. CHAPTERS 1-3, 9 & 10 NOTE: You are NOT responsible to know the specific statistical formulae, the specifics of the operations for the five sites, or information about cost analysis. You ARE responsible for the findings of this study. NOTE: You are NOT responsible for Chapters 1, 2, 9, 11, 13, 14, 15, 18, 21 & 22, and the Appendices. You ARE responsible for everything else in this text (the remaining 12 chapters). NOTE: The Preface of this text has tips on studying for a test. You ARE responsible for everything else in this text. My intention here is to post a number of articles all related to Use of Force. 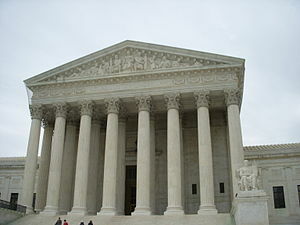 I am going to begin with a recap of the U.S. Supreme Court decision in Graham v. Connor, 490 U.S. 396 (1989). I will review some Louisiana legislation as it relates to all citizens and law enforcement. I will be discussing the AELE Use of Force Reporting Guide, which you can access by clicking here. You should keep a copy of the Use of Force Reporting Guide handy. You can also pull up a copy of the Use of Force Reporting Guide using the FOP CCL2 mobile app. Once that is covered, I will move on to some more specific info as it relates to the policies and procedures of the New Orleans Police Department. If you, the dedicated reader, would like to see something specific along the way, feel free to bring it to my attention. The legal tradition in Louisiana is mainly contained within the various codes containing the law. The Code of Criminal Procedure is where we can find authority to use force effect an arrest. A person shall submit peaceably to a lawful arrest. The person making a lawful arrest may use reasonable force to effect the arrest and detention, and also to overcome any resistance or threatened resistance of the person being arrested or detained. La. Code Crim. Proc. Ann. art. 220. Citizens only have the duty to submit peaceably to a lawful arrest. Once any resistance or threat of resistance ceases, so does the authority to use force. The use of force or violence upon the person of another is justifiable when committed for the purpose of preventing a forcible offense against the person or a forcible offense or trespass against property in a person’s lawful possession, provided that the force or violence used must be reasonable and apparently necessary to prevent such offense, and that this Section shall not apply where the force or violence results in a homicide. As you can see, the standard that protects your average citizen is substantially similar to the standard that protects law enforcement officers — reasonable and apparently necessary. Graham was a diabetic. He had been performing some mechanic work and had not been feeling well. He asked a friend of his to drive him to get some orange juice. His friend, Berry, drove Graham to a convenience store. As it turns out, Connor, a police officer with the Charlotte Police Department in North Carolina, was sitting in the parking lot of the convenience store. When he got to the convenience store, Graham got out of the car he was riding in and entered the store. When he got inside, he decided the line was too long and left the store. Graham then asked Berry to drive him to a friend’s house where he would be able to counteract his low blood sugar. Connor, sitting in the parking lot, observed Graham walk into the store hurriedly. He also observed Graham exit the store in a hurry and jump back into his car. Connor found Graham’s actions to be suspicious. Connor initiated an investigative stop of Berry’s vehicle. After Connor told Graham and Berry to sit tight while he found out what happened at the store, Graham exited his car, ran around the car twice, and then passed out. Graham was subsequently handcuffed. As you probably know, or at least suspect, the officers learned that nothing had happened at the convenience store. Graham suffered some minor injuries. He later filed a federal civil rights claim against Connor, et al. The lower courts ruled in the officers favor, applying a standard of review relative to a 14th Amendment “substantive due process” claim. The case continued up to the U.S. Supreme Court where the court ultimately remanded the case for additional proceedings. The U.S. Supreme Court rejected the notion that excessive force cases should all be handled as 14th Amendment cases. Instead, the Court held that a 4th Amendment seizure occurred when officers used force. In Graham’s case, he was bodily seized when the handcuffs were applied. Since the force used constituted a seizure, the determining factor would be reasonableness. Determining whether the force used to effect a particular seizure is “reasonable” under the Fourth Amendment requires a careful balancing of “ ‘the nature and quality of the intrusion on the individual’s Fourth Amendment interests’ ” against the countervailing governmental interests at stake. Id., at 8, 105 S.Ct., at 1699, quoting United States v. Place, 462 U.S. 696, 703, 103 S.Ct. 2637, 2642, 77 L.Ed.2d 110 (1983). Our Fourth Amendment jurisprudence has long recognized that the right to make an arrest or investigatory stop necessarily carries with it the right to use some degree of physical coercion or threat thereof to effect it. See Terry v. Ohio, 392 U.S., at 22–27, 88 S.Ct., at 1880–1883. Because “[t]he test of reasonableness under the Fourth Amendment is not capable of precise definition or mechanical application,” Bell v. Wolfish, 441 U.S. 520, 559, 99 S.Ct. 1861, 1884, 60 L.Ed.2d 447 (1979), however, its proper application requires careful attention to the facts and circumstances of each particular case, including the severity of the crime at issue, whether the suspect poses an immediate threat to the safety of the officers or others, and whether he is actively resisting arrest or attempting to evade arrest by flight. See Tennessee v. Garner, 471 U.S., at 8–9, 105 S.Ct., at 1699–1700 (the question is “whether the totality of the circumstances justifie[s] a particular sort of … seizure”). Whether the force used is reasonable depends upon the totality of the facts and circumstances in each case. A court must evaluate the officers’ actions against those of ordinary, prudent, and reasonable men placed in the same position as the officers and with the same knowledge as the officers. Several factors to be considered in making this determination are the known character of the arrestee, the risks and dangers faced by the officers, the nature of the offense involved, the chance of the arrestee’s escape if the particular means are not employed, the existence of alternative methods of arrest, the physical size, strength, and weaponry of the officers as compared to the arrestee, and the exigencies of the moment. This link is to the AELE’s Use of Force Reporting Guide. There is also a link to the Use of Force Reporting Guide in the FOP CCL2 Smart Phone App. It is an excellent reference guide and everyone should familiarize themselves with it and keep a copy handy for quick reference. Next time, I will discuss the types of things in the Use of Force Reporting Guide more thoroughly. On July 17, 2013, PANO shared a letter, written by their attorney Eric Hessler, regarding the City’s decision not to provide representation to Jason Giroir in a law suit where he is the defendant. In his letter, Eric indicates that it is vitally important for officers to understand where they stand with this administration. The FOP agrees. We strongly believe the City has an obligation to provide representation for civil actions resulting from the performance of your duty. However, if the City of New Orleans will not defend you, the Fraternal Order of Police will. The FOP Legal Plan provides our members with coverage in any civil action instituted against them for actions taken in the course and scope of their employment (whether on-duty of off-duty) if the City does not. If the City accepts its responsibility to represent you, the FOP will still assign one of our four core attorneys to meet with you and the city attorney to assure there are no conflicts of interest and that you will receive proper representation. In addition to our four core attorneys who work with police officers on a daily basis, the FOP Legal Plan also provides its members with a wider selection of attorneys with experience in all aspects of the law if needed. If you are served with a civil law suit, call your FOP attorney. If you don’t have one that you speak to regularly, call FOP Legal Plan Chairman Jimmy Gallagher and we will help you figure which attorney is best to monitor and advise you on your situation. When served with a civil law suit, you are required to notify the Superintendent. You can accomplish this by bringing a copy of the law suit to the Superintendent’s office. This should be done at the next earliest opportunity. Once you have notified the Superintendent, you should also call the City Attorney’s office and find out who has been assigned to your case. If the City Attorney’s office says they will not be providing you a defense, you should stop talking to them immediately and contact your FOP attorney. 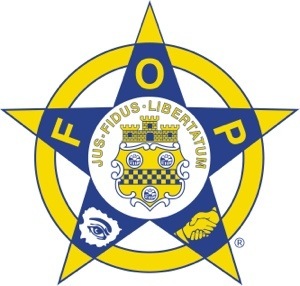 In addition to the civil coverage detailed above, the FOP offers full criminal coverage if any member is accused of criminal wrongdoing while on-duty, or while acting in the scope of employment while off-duty. Of course, we continue to offer legal coverage whenever an member is accused of an administrative violation. The FOP also offers two hours of one of our core attorney’s time for personal legal services, and, for a nominal fee, the FOP offers Moonlighting Insurance that provides $100,000 in liability insurance in addition to legal coverage for members working paid details or secondary employment. Download the FOP Crescent City Lodge App for your mobile phone today! The first round of Police Officer III testing is in the books for 2013. Two more days of testing remain. I thought this might be a good time to review a few things about promotions and PIB Short Forms. First of all, in order to be eligible for Police Officer III, you have to be a Police Officer I or a Police Officer II with four years on the job. Once that is established, you have to take and pass the test and be placed on a promotional register by Civil Service. You have a sustained DI-1 in the past 12 months that resulted in a penalty greater than a Letter of Reprimand. The 12 month period is determined from the date the DI-1 was initiated. it should be noted that although the NOPD Operations Manual does not provide for it, several officers were passed over for Police Officer II promotion because they had more than 8 undocumented sick leave days in the previous 12 months. If you anticipate being on the promotional register (really, even if you are not), you should go to the Public Integrity Bureau (118 N. Rocheblave St.) and request a copy of your PIB Short Form. Your PIB Short Form lists all DI-1 investigations where you were an accused officer. These are the investigations that will prevent you from being promoted. You can request a copy of your Short Form by completing a form at PIB at the front desk. Once you have obtained a copy of your PIB Short Form, the next thing to do is to examine every entry and look for a disposition. If your PIB Short Form does not contain any entries, then you should be good. If you do have a couple of entries on your Short Form, don’t feel bad. Check each entry for a disposition. The disposition will generally show Sustained, Not Sustained, Unfounded, Exonerated, or Pending. For promotional purposes, you should be concerned about any entry that shows Sustained or Pending. If the disposition shows Sustained, it will also show a penalty. If the entry shows Sustained and a penalty of Letter of Reprimand, then that entry will not prevent you from being promoted. If the entry shows Sustained and the penalty shows some type of suspension, then you should look for date next to DI-1 Initiated. If the date next to DI-1 Initiated is more than 12 months ago, then that investigations should not prevent you from being promoted. Pending is the tricky disposition. Pending could indicate that a DI-1 is being actively investigated. Pending could also indicate that the the investigation has been tabled for some reason and is not being actively investigated. Pending could also mean that the investigation, although completed, has not been sent for a disciplinary hearing. Pending could also mean that, although a disciplinary hearing has already been held, the disposition recommended by the hearing officer has not been approved by the Superintendent yet. You may be sitting there thinking that you don’t need to do this because you haven’t had any DI-1 investigations. Don’t be so sure. During the recent P/O II promotions, numerous people were surprised to find that there was a pending DI-1 investigation that they knew nothing about. It doesn’t cost anything. Go get a copy of your Short Form. In fact, it is probably a good idea to go get your Short Form on a regular basis regardless of whether you are eligible for some promotion or not. If you find an investigation that has been pending for several years, or an investigation you didn’t know about, or any type of pending investigation, you should call your FOP attorney. If you don’t have an FOP attorney, pick one and give him a call. You are welcome to call me. Your FOP attorney will attempt to determine the status of the investigation and attempt to urge on its resolution. Sometimes there is nothing that can be done. However, it is worth a try. You should also check your attendance record. You are looking for sick days indicated with the letter S. These are undocumented sick leave days. In case you are not familiar with documentation of sick leave, you can present a doctors note or a Form 50 upon return from a sick leave usage and your attendance record will indicate D instead of S. Check the last 12 months and count the number of days denoted with an S. If you have any S’s (definitely if you have 8 or more), you can get your physician to complete an NOPD Form 50. You can bring completed Form 50’s to Payroll (4th Floor of Headquarters) and they can assist in documenting your sick leave. As a general rule, it is always good to document sick leave. Under normal circumstances, you can document sick leave by presenting a Form 50 to your immediate supervisor, but that has to be done within 5 days of your return to work. If you have no Pending or Sustained DI-1 investigations and no undocumented sick leave days you should be clear for promotion. I say should for a reason. When the NOPD recently made Police Officer II promotions, there were a number of officers who were skipped over for no apparent reason. If you find yourself in that situation, give me a call and we will see what we can do to help you out. During the recent Police Officer II promotions, there were about 300 eligibles on the promotional register. Of those, about 200 were promoted. That means that 1/3 of the officers who took and passed the Police Officer II test were not promoted. Some were skipped because of Pending DI-1’s, some for sustained DI-1’s and a handful for excessive undocumented sick leave. Unfortunately, there were some that were skipped because of two-year-old investigations they knew nothing about. Even worse, some were skipped for no apparent reason at all. The FOP will be there to help you if you find yourself in that situation. I wish I could say that I was successful in every attempt to get someone promoted who was skipped over. That is not the case. However, there were plenty of cases where we were successful. Last year when NOPD made Police Officer II promotions, Superintendent Serpas said that he would promote anyone that was inadvertently skipped or anyone who became eligible after being initially ineligible. Hopefully, we can expect the same cooperation again with Police Officer III promotions, upcoming Police Officer IV promotions, and promotions after the Sergeants exam is given. If you skimmed over this entire article, read this: GET A COPY OF YOUR PIB SHORT FORM. Straighten out any problems before they really become a problem. Police Officer IV and Police Sergeant promotions will be next. You can “Like” the FOP Crescent City Lodge on Facebook. You can also follow me on Twitter @dlivaccari or the FOP Crescent City Lodge on Twitter @FOPNO. My email is dal@livlaw.com or I can be contacted through this page. You are also welcome to call or text. Download the FOP Crescent City Lodge Mobile App today! Available for iOS at the Apple App store or for Android at the Google Play store. The Superintendent of Police recently said that 10-11% of all employees were subjected to a PIB investigation in 2012 and 2013 has been similar, if not a little higher. Since we have about 1,201 employees at last count, that would indicate that at least 120 officers have been the accused officer in an internal investigation. That seems a little low since more than 1,100 PIB control numbers were generated in 2012. In any event, it seems prudent for the 90% of the NOPD that belongs to the Crescent City Lodge of the FOP to know about the FOP Legal Plan (the other 10% should know too). The law does not require that officers be notified of a pending internal investigation. That being said, there are some investigators who go out of their way to notify officers of pending investigations. It is more common for officers to learn about pending investigations when they receive a letter from Civil Service informing him or her of an upcoming hearing on the NOPD’s request for an extension of time. Less frequently, officers are notified when they are given a Notice to Render Statement. Being an FOP Legal Plan member entitles you to legal representation from the beginning of an investigation. In fact, it is extremely helpful and beneficial to the officer and the legal counsel to have legal counsel involved as early as possible. I have received numerous calls from officers who are calling to tell me about a potential complaint – the earlier the call, the better. If for some reason you are unable or choose not to call at the beginning of an investigation, that is OK too. It is NEVER too late. You are also entitled to representation if you are called in as a witness officer. Witness officers have their own set of concerns that may not be readily apparent at the time. Finally, it is not unusual for me to receive calls with general questions that may or may not be related to the disciplinary system or process. I don’t claim to have every answer, but I will attempt to find out if I don’t know. 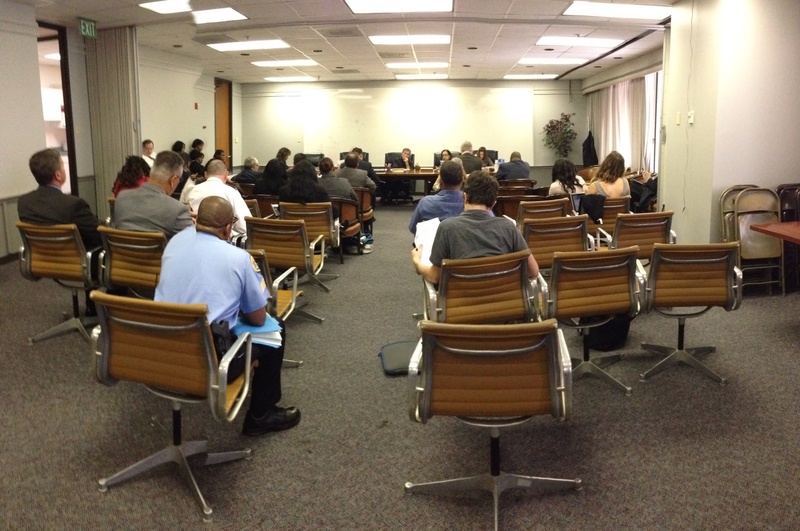 Myself and the other core FOP attorneys work within NOPD’s system day in and day out. We are always available to assist in whatever way we can. If you have any questions about the FOP Legal Plan or the NOPD’s disciplinary system, feel free to call. Store your FOP Attorney’s phone number (or all of them) in your phone for easy reference. If it is not pressing, you are welcome to email us. Get the FOP Mobile App for easy access to legal contact information and other important reference material.